Autoflotte magazine now available as an app! 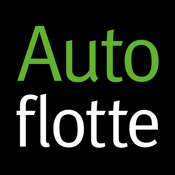 Now you can read Autoflotte wherever you happen to be, on your smartphone or tablet. Further, not only can you read the digital edition of Autoflotte and the Autoflotte News; you can also use a range of special functions. For instance, you can bookmark those articles you want to remember to read later, and you can read the magazine in offline mode, whenever and wherever you like! Download the free Autoflotte app today!